Sonny Rollins made three studio albums for Impulse! in the mid ’60s; after releasing On Impulse!, East Broadway Run Down, and Alfie, each very different from the others, he disappeared. He wouldn’t return to the studio until signing with Milestone in the early ’70s. The three-song East Broadway Run Down was one of the first Rollins albums I ever heard, and it quickly became one of my favorite records, its marathon title track putting me in a kind of trance state as it went on…and on…and on, the saxophonist and trumpeter Freddie Hubbard working at seemingly opposite goals, one firing off harsh, disciplined bursts of notes while the other meanders and honks, even as bassist Jimmy Garrison and drummer Elvin Jones throb and crash behind them. It was Rollins at his most bearish and unfettered. Bryant isn’t dominant here, but he’s definitely handling more of the melody than Rollins is, dancing across the keys with a light touch reminiscent of McCoy Tyner or Herbie Hancock. The saxophonist states the tune at the outset (and on the calypso-flavored “Hold ‘Em Joe,” he riffs pretty forcefully), but then he begins to wander. The lyricism that’s always present in his solos remains prominent, and his phrasing is as seemingly considered as ever, the murmuring abstraction of 1962’s Our Man in Jazz long gone, but he’s mostly exploring the rhythm rather than working changes on the melody. The bassist and drummer do their jobs well, swinging hard whether the tune is a ballad (like the album’s longest cut, the 11-minute “Everything Happens to Me”) or a hard-bop explosion (like the closing “Three Little Words”). I wouldn’t say they ever manage to seize the spotlight from Rollins or Bryant, though; they’re just a very solid rhythm team. One interesting thing does happen on On Impulse! : Rollins takes an unaccompanied solo during the final minute of “Three Little Words,” the band joining him in the tune’s closing 15 seconds for a quick fade-out. But that short passage, 30 seconds or so, of solo horn is almost more thrilling than anything that’s come before. There Will Never Be Another You is a live album, recorded in 1965 with an interesting band: Tommy Flanagan is on piano, Rollins’ longtime partner Bob Cranshaw on bass, but there are two drummers—Billy Higgins and Mickey Roker. You might think this overdose of rhythm would cause the band to convulse wildly, but it doesn’t, really. The program is, again, a set of five standards, including two (“On Green Dolphin Street” and “Three Little Words”) that also appeared on On Impulse!. And again, Rollins lets the pianist take over for long stretches—Flanagan’s solo on “On Green Dolphin Street” is terrific, especially with the pulsing rhythm section behind him, the two drummers working in tandem to create a double-strength but unified beat. The album fades in, the music already in progress, and the first two tracks bleed into each other, with Rollins blowing a calypso-ish riff that cruises past the track indexing mark and leads the group into the next tune. The third piece, “Mademoiselle de Paris,” is barely more than a vignette, finishing up well shy of the two-minute mark, but it’s made up for by a quite lovely, six-minute “To a Wild Rose” and the album closer, a nearly 17-minute version of the title track. 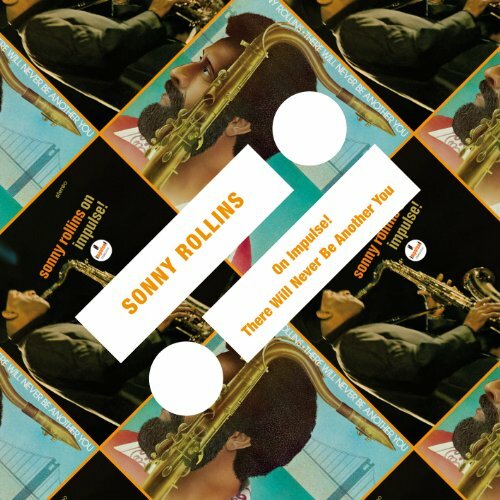 Rollins clearly viewed “There Will…” as a platform for unfettered improvisation; he recorded it with his 1962/3 band featuring Don Cherry, Henry Grimes and Higgins, as heard on Our Man in Jazz, and here it’s a wild workout, the two drummers hammering at the rhythm, driving the band forward almost with almost malicious force. Toward the end of the piece, Rollins wanders away from the microphone but continues soloing at some length. He’s audible, but it’s just one part of an overall rough sound. This wasn’t just a live recording, it was an outdoor concert, where the audience is barely audible and the instruments bleed together quite a bit. It almost sounds like a bootleg, and it’s not surprising that a) it wasn’t originally released on LP until the mid ’70s and b) it hasn’t been in print on CD in the US for quite a while. But it’s got a lot of energy (in the “energy music” sense of that word), much more than On Impulse!, and it’s maybe the main reason to buy this twofer.